Choose from a variety of fine hotels, romantic hideaways, and bed & breakfasts. Nestled in the foothills below the majestic Sierra Nevada. Visalia is the Gateway of Sequoia and Kings Canyon National Parks. The city's charm and strong community welcome visitors year-round for an experience filled with live entertainment, stunning art, rich history, and world-class restaurants. Savor the city's fresh farm to fork cuisine at one of many sidewalk cafes, take a stroll in the quaint Downtown district, tour the richest agricultural region in the United States, browse boutiques and antiques, having a hiking, biking, rafting, or snowshoeing adventure, and relax with a glass of local wine. With beautiful weather, friendly people, and hundreds of explorations, all we need now is the explorer. One of the first steps in planning any vacation is finding the perfect place to stay. The communities of California's Gateway to Yosemite have numerous options for lodging. 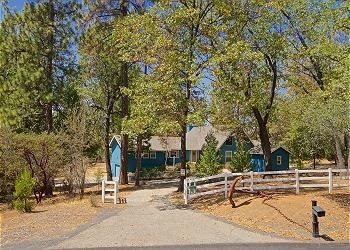 From full service resorts with all the amenities to rustic campgrounds and everything in between, Madera County has the perfect place for you.